ComponentSource was established in 1995, to ensure Software Developers were supplied with the best software development products the world had to offer. With offices in the USA, UK and Japan, you can talk to our multilingual Customer Services representatives 24 hours a day, Monday to Friday. We speak English, French, German, Italian, Spanish, Portuguese, Japanese, Korean, Cantonese and Mandarin. We're recognized experts in the field of licensing, software, and software asset management with nearly 30 years of experience. We'll help you complete your projects with our extensive expertise in software and licensing and we'll provide you with an efficient ordering system, with excellent procurement conditions for companies of all sizes and from all trades and industries. 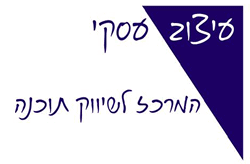 Valinor – the leading company in Israel offering data solutions: DB, Big Data & BI Solutions. Valinor was founded in 2006 and specializes in project and product consultation, installation and implementation of databases. The company employs a wide range of information system architects, and specifically DBAs – experts in database management. Valinor assists its customers in finding creative and effective solutions with the best possible ROI, including development, conversion, upgrade and installation of complex database systems that handle large amounts of information. In addition, we offer professional management services and complementary products for the organizational database environment. You get to work with people who love what they do. DevOpsGroup deliver IT transformation at the speed of disruption, by building DevOps capabilities within our clients, enabling them to meet the relentlessly increasing demand of delivering great digital customer experiences. eBusiness Design was established in 1995, to ensure Software Developers were supplied with the best software development products the world had to offer. Today, we offer the world's best collection of labor saving software in Israel through our team, carrying over 2,000 SKU's from 100+ Publishers. Grey Matter's reputation has been built on the quality, breadth and independence of our software and licensing advice. We have been helping database and developer professionals choose the best tools for the job since 1983. At Sun City Software Kft. we are focusing on Microsoft Data Platform products as well as professional services in the SMB and Enterprise sector in EU but focusing on Hungary. Our team covers the latest Microsoft technologies on-premise as well as in the cloud (Azure). Prodmag.ru has been working since 1995 in software distribution, support and development. We are a reseller of major software brands and have extensive knowledge in this market and our business focuses on technology professionals. QBS Software is a renowned software reseller, providing a comprehensive range of products produced by a wide spectrum of software publishers. We provide independent impartial advice and leverage over 27 years of data-gathering, knowledge, insight and expertise. Our core philosophy is to provide world-class customer service experience which stems from every aspect of our organisation from its leadership, vision, strategies, systems, customer relationships, processes and its people with particular focus on delivery, timeliness, information, professionalism, staff commitment and technical support. secureVirtual provide fully managed IT solutions and Consultancy for mid-size organisations, with a strong focus on the Financial Services industry. Supplying hosted Infrastructure, remote desktop services and help for customers to meet compliance, improve performance, solve business issues, and automate where possible. We work with our clients, in partnership, to understand their business requirements before proposing a solution that is right for their business and budget – be that software or infrastructure. ShalevSoft is a large software provider and leader in the computer industry in Israel. ShalevSoft began operations in 2009, and concentrates our business operations in consulting, marketing and sales of software and software-licensing for organizations. We are committed to use a variety of the latest software, including third-party software cloud formations. You can find the whole range of possible applications for all industries at our online store. You can find more than 170 international IT companies marketed by us. The difference is in the service! In general, we provide software licenses faster with service and support. Our customers get high value-added business support and technical advice ahead for their needs. AnyWare E-Commerce is a leading software reseller. The company was founded in 2004, taking as its mantle to ensure that companies and developers would have access to the very best software products that the market has to offer, at the most attractive prices and accompanied by the finest and fastest service possible. Today, we market over 10,000 leading products from over 300 different software vendors, we support over 5000 users employed at the largest corporations in the Israeli market, in sectors such as high-tech, communications, industry, academia, government and many more. Sigma Software Distribution is the UK's specialist value-add distributor for business, technical, database and development software. Since 2003, Sigma have supplied the channel with pricing, licensing advice and business development help for developer and database solutions. SoftMap specializes in the supply of software and IT solutions. The catalog presents the software of more than 1000 world famous manufacturers. The company operates throughout Russia. SOS Software Service was founded in 1987 and is specialized in distribution of software. We improve procurement processes in order to support resellers in providing software to their customers. CompuCom continues to refine its procurement services and expand through acquisitions, growing from a multiregional reseller into a national reseller and IT services provider and adding capabilities in government services, software application development and technology outsourcing. We offer expert guidance, exceptional service, and innovative strategies to empower you to make informed IT investment decisions. Celebrating over 20 years in business, En Pointe specializes in Microsoft-centric IT environments, offering hardware, software licensing and services. Insight is a leader in providing smart, cutting-edge technology solutions for organizations of all sizes. From developing unique strategies to delivering the products, services and expertise, we’ll help your business run more efficiently and modernize through Intelligent Technology Solutions™. PCM, Inc., together with its wholly-owned subsidiaries, is a value added direct marketer of technology products, services and solutions to businesses, government and educational institutions and individual consumers. As a forward-thinking business partner to thousands of organizations across North America, Softchoice unleashes the potential of technology at every step of the IT lifecycle. Zones is a leading global provider of comprehensive IT solutions. For over 30 years, they've taken pride in becoming experts in all things tech. Formed by a team with more than 20 years of experience in the technology market, OSB Software began its activities in Brazil with the know-how to provide, in an agile and competitive way, any software from various categories/segments of the global market to the market national. Our differential is to bring several similar software options within the same category so you can benchmark and choose the solution that best fits your needs. EficienTI is an IT Company that offers services of Project Implementation and Managed IT Services, including setup, administration and monitoring for several business segments. We are committed to improving the performance, security, and stability of your IT environment. coreDevX is a consulting company and research center focused on understanding dynamics and processes related to software development practices. Our main customers are large enterprises that need to streamline their development practices through integration of a set of tools that enable IT to have a better work traceability of internal or external software providers. We are expert on design and implementation Continuous Delivery/Deployment Pipelines, Software Deployment automation, Infrastructure as code. We also provide technical QA and automated code review services. LANTYX is a reseller of software in Brazil that serves more than 600 large companies. We have a team of professionals with long experience, ready to meet your need with Redgate solutions. Targetware was founded in 2007, but the two owners and co-founders have together more than 25 years of experience in IT. We have today more than 2,000 partners of Software Components and Scientific Software, through different areas, like educational, statistic, GIS, sound edition, etc .We are also authorized resellers from Oracle, Microsoft and Sybase. SQLCORE is a company formed by database experts in Microsoft SQL Server. Our mission is to transform real-problems in creative solutions, providing database support for our customers. We offer database support including troubleshooting performance issues, database monitoring, managing high availability solutions and database migrations to cloud. In order to bring business innovation to customers, at Human Interactive Technology we believe it is necessary to have technical expertise, whilst caring about people. Information Technology’s (IT) purpose is to make people's lives more convenient and comfortable. The founding goal of Human Interactive Technology has been to recognize that IT is made for people by people and to center our values around people. In order to bring happiness to people in the IT industry, we have created business innovation for our customers using our current core technology and technology of the future. Our corporate philosophy will stay the same as technology and services continue to change. 120+ SQL Customers, 500+ projects, 1.5 decades of database experience, pan-India presence – SQLMaestros is a numero-uno brand when it comes to Microsoft Database Platform consulting, training, & content development. As Redgate's exclusive partners in India, SQLMaestros now brings a new level of productivity & innovation to its customers through Redgate's world class tools. To learn more, visit www.redgate.sqlmaestros.com. Akeles was founded in 2008 to provide software tools and services. We are based in Singapore and partner with DevOps automation vendors such as Atlassian, Redgate, Puppet, JetBrains and Sonatype. MicroWay is Australia's largest distributor of development products and software for IT Professionals. With over 3,000 products and over 20,000 customers throughout Australia and New Zealand, we've been helping IT Professionals for over 27 years. We focus on reselling software and provide implementation services, proof of concept and technical demos to solve your business challenges.